Build fancy engagement wedding ring bridal set in halo diamond rings with your choice of natural gemstones in 14k or 18k white, yellow or rose gold and platinum. This eye-catching 14k gold bridal set showcases a 7x5mm pear sapphire engagement ring and a matching diamond wedding band to complete the stunning look. This eye-catching 18k gold bridal set showcases a 7x5mm pear sapphire engagement ring and a matching diamond wedding band to complete the stunning look. This eye-catching platinum bridal set showcases a 7x5mm pear sapphire engagement ring and a matching diamond wedding band to complete the stunning look. This eye-catching 14k gold bridal set showcases a 8x6mm pear sapphire engagement ring and a matching diamond wedding band to complete the stunning look. This eye-catching 18k gold bridal set showcases a 8x6mm pear sapphire engagement ring and a matching diamond wedding band to complete the stunning look. 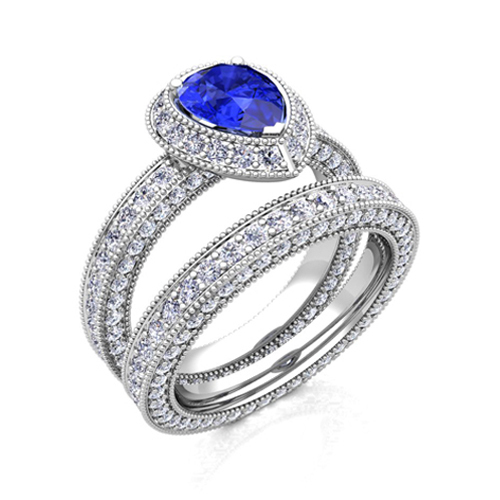 This eye-catching platinum bridal set showcases a 8x6mm pear sapphire engagement ring and a matching diamond wedding band to complete the stunning look. This eye-catching 14k gold bridal set showcases a 7x5mm pear pink sapphire engagement ring and a matching diamond wedding band to complete the stunning look. 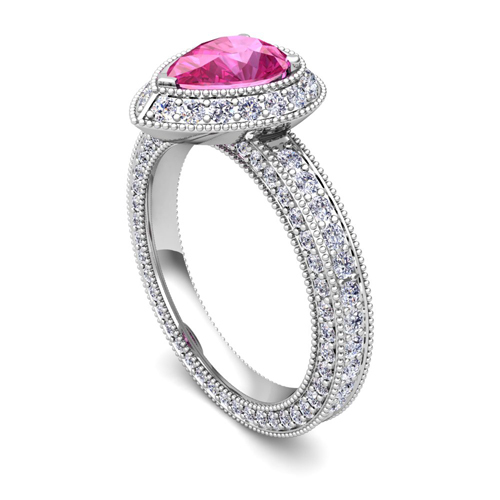 This eye-catching 18k gold bridal set showcases a 7x5mm pear pink sapphire engagement ring and a matching diamond wedding band to complete the stunning look. This eye-catching platinum bridal set showcases a 7x5mm pear pink sapphire engagement ring and a matching diamond wedding band to complete the stunning look. This eye-catching 14k gold bridal set showcases a 8x6mm pear pink sapphire engagement ring and a matching diamond wedding band to complete the stunning look. 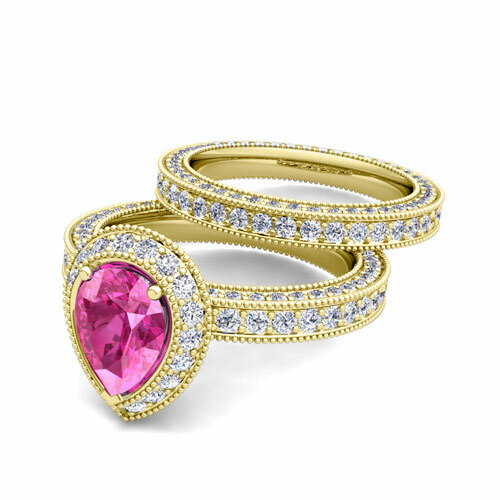 This eye-catching 18k gold bridal set showcases a 8x6mm pear pink sapphire engagement ring and a matching diamond wedding band to complete the stunning look. This eye-catching platinum bridal set showcases a 8x6mm pear pink sapphire engagement ring and a matching diamond wedding band to complete the stunning look. This eye-catching 14k gold bridal set showcases a 7x5mm pear yellow sapphire engagement ring and a matching diamond wedding band to complete the stunning look. This eye-catching 18k gold bridal set showcases a 7x5mm pear yellow sapphire engagement ring and a matching diamond wedding band to complete the stunning look. 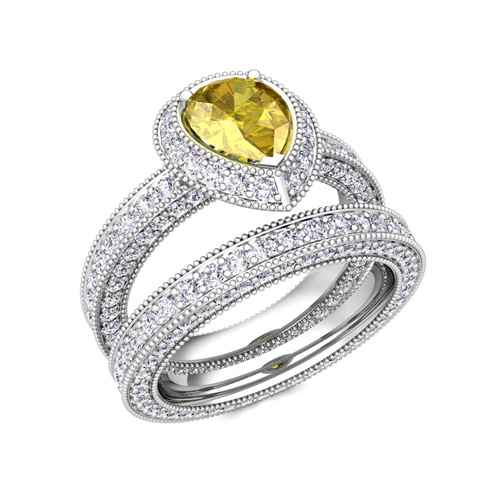 This eye-catching platinum bridal set showcases a 7x5mm pear yellow sapphire engagement ring and a matching diamond wedding band to complete the stunning look. This eye-catching 14k gold bridal set showcases a 8x6mm pear yellow sapphire engagement ring and a matching diamond wedding band to complete the stunning look. This eye-catching 18k gold bridal set showcases a 8x6mm pear yellow sapphire engagement ring and a matching diamond wedding band to complete the stunning look. This eye-catching platinum bridal set showcases a 8x6mm pear yellow sapphire engagement ring and a matching diamond wedding band to complete the stunning look. This eye-catching 14k gold bridal set showcases a 7x5mm pear Ceylon sapphire engagement ring and a matching diamond wedding band to complete the stunning look. This eye-catching 18k gold bridal set showcases a 7x5mm pear Ceylon sapphire engagement ring and a matching diamond wedding band to complete the stunning look. This eye-catching platinum bridal set showcases a 7x5mm pear Ceylon sapphire engagement ring and a matching diamond wedding band to complete the stunning look. 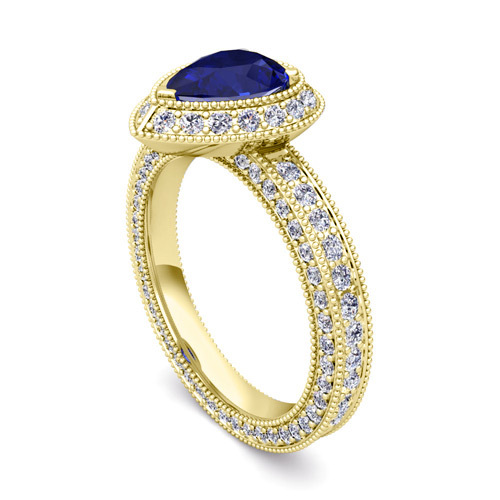 This eye-catching 14k gold bridal set showcases a 8x6mm pear Ceylon sapphire engagement ring and a matching diamond wedding band to complete the stunning look. 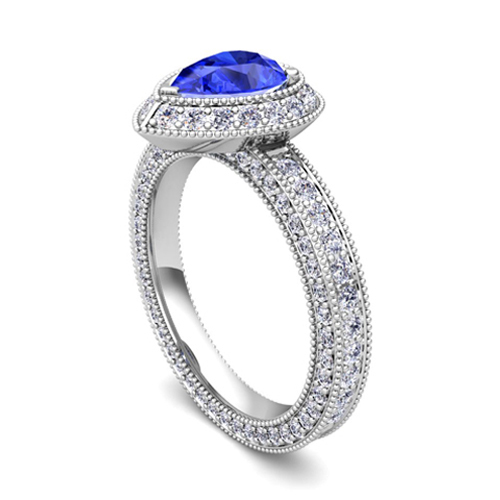 This eye-catching 18k gold bridal set showcases a 8x6mm pear Ceylon sapphire engagement ring and a matching diamond wedding band to complete the stunning look. This eye-catching platinum bridal set showcases a 8x6mm pear Ceylon sapphire engagement ring and a matching diamond wedding band to complete the stunning look. This eye-catching 14k gold bridal set showcases a 7x5mm pear ruby engagement ring and a matching diamond wedding band to complete the stunning look. 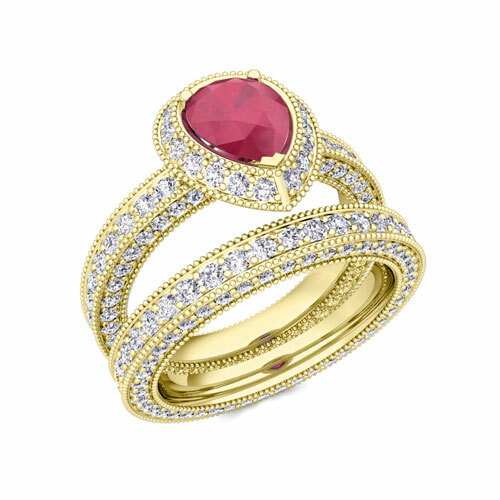 This eye-catching 18k gold bridal set showcases a 7x5mm pear ruby engagement ring and a matching diamond wedding band to complete the stunning look. 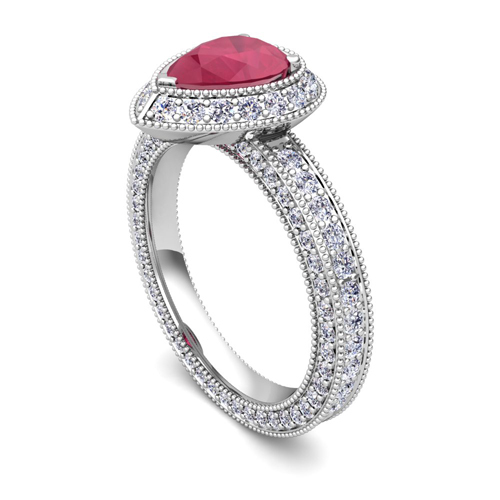 This eye-catching platinum bridal set showcases a 7x5mm pear ruby engagement ring and a matching diamond wedding band to complete the stunning look. This eye-catching 14k gold bridal set showcases a 8x6mm pear ruby engagement ring and a matching diamond wedding band to complete the stunning look. 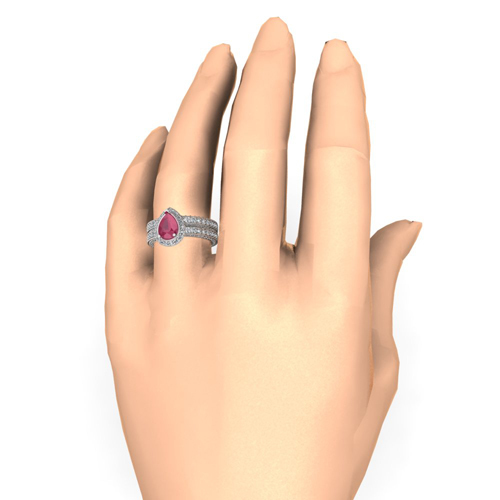 This eye-catching 18k gold bridal set showcases a 8x6mm pear ruby engagement ring and a matching diamond wedding band to complete the stunning look. This eye-catching platinum bridal set showcases a 8x6mm pear ruby engagement ring and a matching diamond wedding band to complete the stunning look. This eye-catching 14k gold bridal set showcases a 7x5mm pear emerald engagement ring and a matching diamond wedding band to complete the stunning look. This eye-catching 18k gold bridal set showcases a 7x5mm pear emerald engagement ring and a matching diamond wedding band to complete the stunning look. This eye-catching platinum bridal set showcases a 7x5mm pear emerald engagement ring and a matching diamond wedding band to complete the stunning look. This eye-catching 14k gold bridal set showcases a 8x6mm pear emerald engagement ring and a matching diamond wedding band to complete the stunning look. This eye-catching 18k gold bridal set showcases a 8x6mm pear emerald engagement ring and a matching diamond wedding band to complete the stunning look. This eye-catching platinum bridal set showcases a 8x6mm pear emerald engagement ring and a matching diamond wedding band to complete the stunning look.